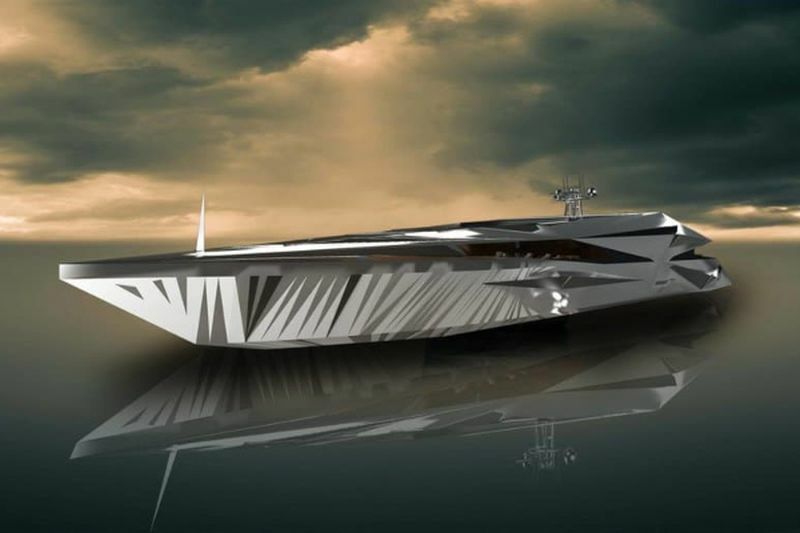 Yacht designer and artist from Monaco, George Lucian, designed this out of this world structure called MY Roswell. The goal of this designer was to create a perfect yacht. 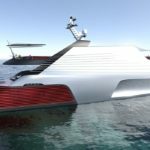 Inspired by the future, this incredible boat is, in fact, an aluminum yacht 65 meters long, designed so that it can move on the electricity completely. 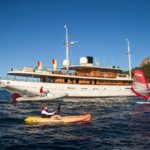 The yacht has two diesel-electric motors and large electric panels which are self-sustaining in their base. This yacht can definitely be a vessel with zero percent of bad emissions. The enchanting boat that you see in front of you, is designed to avoid detection, using special patterns and reflective details on the hull. Radar signature of this yacht will be minimal, but we are not sure how efficient this feature will be. Anyway, for all who want to stay far from the eyes of the public, this is an excellent idea. If you remember Roswell, New Mexico and controversy about that place, then you will understand why this interesting yacht looks like this and why Roswell events were an inspiration. 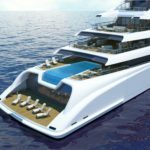 Unfortunately, we do not have much information about the features and benefits that will wait for you on the boat, but photographs reveal a generously designed swimming pool, loggia and dining room. 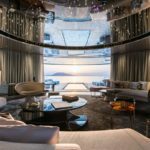 Large glass doors and walls will create an interesting and hospitable atmosphere inside this yacht. However, in the end, we have to emphasize that this is just a concept, which means that there are still no realistic plans for its construction. We hope that it will be seen by a millionaire who will fall in love with the yacht at first glance and turn it into the reality.